Wall Street might just be the most vilified business, right after politics of course. Warren Buffett said as much today in his eagerly awaited annual letter to shareholders, calling members of the financial world "monkeys." Lest we forget dear readers, the 1956 Buffett Partnership Ltd. pioneered one of the highest fee structures in existence; a flat 2% for assets under management PLUS an additional 50% performance fee of any profits above a 4% return. Warren contributed $100 (one hundred) dollars of his own money from his savings of $174,000 in 1956 to the total partnership capital of $105,100. Over the next 14 years the Buffett Partnership did very well, but Warren Buffett did EXTREMELY well. Although it is impossible to determine exactly what his take-down was, according to multiple sources his personal profit was along the lines of $25,000,000. This grub stake would be leveraged into the on-going fusion of Berkshire Hathaway and GEICO into the modern day holding company. There was just one problem, his partners. In 1969 the partnership was shut down, which coincidently coincided with the the consolidation and formation of the present day holding company of Berkshire Hathaway. Please note fellow financial farmers, at this critical juncture Warren advised his partners that there weren't any viable investment opportunities in the future and disbanded the partnership. His money, however, went into the holding company. This is probably one of the most important facts glossed over by the sycophant business media; Warren Buffett "advised" all of his limited partners to a magnitude almost incalculable, but I'll give you a back of the envelope number: $420 Billion in missed opportunity. It probably ranks as one of the greatest swindles of all time. Today Warren Buffett is depicted as a grandfatherly investing sage championing index funds, although he has nearly his entire net worth in Berkshire Hathaway stock. Berkshire has the ability and desire to negotiate sweetheart deals (aka shareholder extraction) the likes of which could never be accomplished by ordinary mom and pop investors. 2008 was a seminal extraction year for Berkshire, it was able to succor dozens of deals; Goldman Sachs, General Electric, Dow Chemical, Bank of America, etc. all paid homage (on the backs of their shareholders) to secure funding from Warren. History, in its purest form a trade blotter, reveals all; Warren Buffett changed career paths in the early 1950s from a stockbroker to partnership not to benefit clients, but rather to harness his "unique" investing ability as the son of a sitting Congressman, which coincidently paid one of the highest fees in the financial industry. At the juncture when his partnership provided an adequate stepping stone to leapfrog into total control of assets in which he could use the float from GEICO and simultaneously extract value out of those glorious old spinning mills Berkshire and Hathaway he didn't hesitate. Without a doubt, Warren Buffett is one of the greatest investors of all time; his ruthless pursuit of profits is virtually without equal. Berkshire Hathaway has a market cap of some $420 Billion and generates billion in yearly profits. It is the the 4th largest company in the world. Buffett has extracted vast value from many, many companies via their existing infrastructure, brands, and workers; surely he is the leader of the monkey troop. 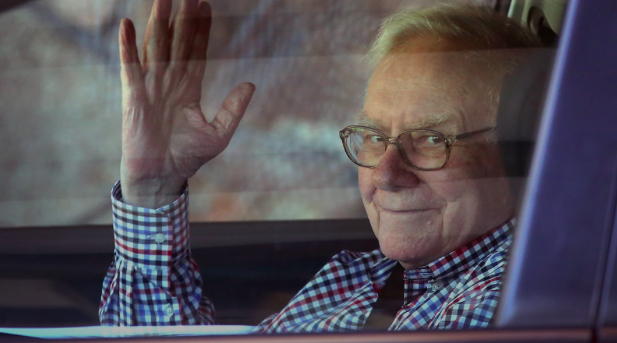 The irony in Warren's investing words and actual behavior is summed up simply by the residents of Fall River, Rhode Island and New Bedford, MA...the respective headquarters of Warren's launching pad for holding company Berkshire Hathaway...there are no bronze statues to this man, just crumbling factories and lost American jobs.